The H�li-Air company organizes gastronomic trips to the best restaurants in the surrounding areas. H�li-Air Monaco offers unforgettable gourmet getaways for a birthday, a romantic dinner or simply to enjoy a meal in a great restaurant. A half-hour flight, landing in the restaurateur's field; the helicopter waits while you enjoy the most delicious dishes in your chosen chef's restaurant. "Chez Bruno" in Lorgues, the undisputed king of the truffle; a warm welcome in his old country house decorated like a Provencal-style family farmhouse - a table in his fabulous kitchen or in the library corner remains an experience to savor. Alain DUCASSE, at "La Bastide de Moustiers," where the kitchen is open to all; aromas escape from the saucepans, meat roasts in the fireplace, the commis chefs bustle about and chef Alain Souliac delights in telling you about the day's menu. Other trips are possible to Yannick Franques' "Ch�teau St Martin and Spa" or to the Vista Palace H�tel, set between the sky and the sea and overlooking Monte-Carlo Casino. Flying over the hills and seashore offers stunning panoramas before and after this relaxing gastronomic experience and is part of the adventure. Going from the Place du Casino to the Provencal countryside in 30 minutes guarantees a total change of scenery for a few unforgettable hours. 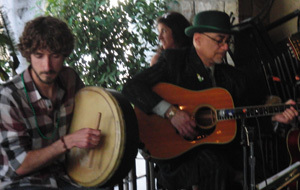 St. Patricks Day came in big and green at the State & A Restaurant in Santa Barbara when the "Shepherds Pie" Band showed up to bring the spirit of Ireland to diners at the popular local bar and restaurant. The eight man/woman band includes some of the best musicians, singers and one outstanding traditional Irish dancer, who under difficult conditions, gave a grand performance. 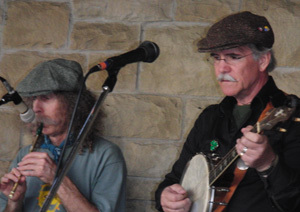 As guests gobbled up corned beef, cabbage and boiled potatoes and toasted with green beer the talented band played traditional and not so traditional Irish favorites. 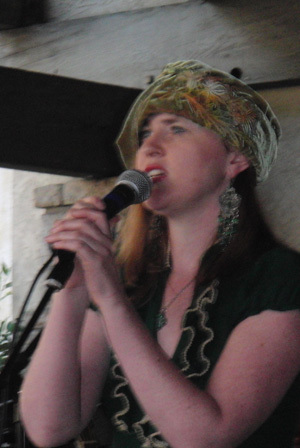 It was an Erin Go Bragh evening for the Irish and those who wished they were! SOUTH BEACH, FLORIDA (March 24, 2010)� Known for exceptional service, innovative gastronomy and authentic design, The Setai, South Beach has made an unmistakable imprint on Miami�s culinary scene. Under the leadership of Executive Chef David Werly, The Setai is further expanding upon its reputation by augmenting its already popular weekly schedule of culinary events to include new offerings at The Pool & Beach Bar, The Restaurant, and The Grill. Guests and locals alike are invited to discover something new and enticing each day or night. Whether it is cocktails by sunset at The Pool & Beach Bar, a seasonal tasting menu at The Restaurant, or champagne dinners at The Grill, The Setai�s highly acclaimed dining options are sure to satisfy even the most discerning of palates. - Sunset at The Setai� Fridays & Saturdays from 5pm � 7pm � Enjoy specialty cocktails and Taittinger Champagne specials, while dining on complimentary tastes of the Mediterranean. - L�ecailler Fruit de Mer & Champagne- Mondays through Thursdays from 11:30am - 5pm � With a choice of two extensive menus, guests can enjoy fresh Fruit de Mer & Taittinger Champagne while overlooking the sparkling Atlantic Ocean. Diners have a choice of Fruit de Mer for Two for USD95 or Grand Fruit de Mer for Two for USD155. - Thursdays at The Setai � Every Thursday � With dinner at The Grill, diners will enjoy a complimentary glass of Taittinger Champagne upon arrival, followed by live jazz under the stars of The Courtyard. - Seasonal Pre-Fixe Menu - Dinner Daily � Focused on sourcing only the finest seasonal ingredients, Executive Chef David Werly introduces the opportunity to sample The Restaurant's Asian and Western fare with a three-course seasonal menu for only USD55. 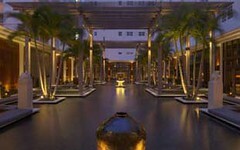 For out-of-town food lovers, The Setai Experience package is also available for booking with a minimum three-night stay. Package includes luxurious accommodations, champagne welcome amenity, The Setai Grand Breakfast for two daily, and a choice of either one 60-minute spa treatment for two or airport transfer. Please note all prices are exclusive of tax and gratuity. For dining reservations, please contact SetaiDining@ghmamericas.com or 305.520.6400. 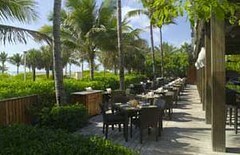 For room reservations, please book online at www.setai.com/reservations or contact The Setai Reservations at 305.520.6100. The Food Channel� (foodchannel.com ) has created a new online Store to bring its readers some of the specialty food products that may otherwise be hard to find. Just click on the �Shop� tab at the top of the website page to browse: foodchannel.com/shop. The goal is to create a space for foodies to buy certain gourmet food products or kitchen tools. Highlighted products in the World Market have been used in The Food Channel kitchens or discovered in The Food Channel staff travels. The site is committed to providing recommendations and information about products so readers can shop with assurance. With more than 40 years in the food business, The Food Channel and its staff of chefs, food writers and photographers have learned the importance of using the best ingredients and the right tools. Now they have put together an online resource that makes it easy for their readers to shop like a chef. The World Market is currently featuring gourmet food products made in Israel�marmalades, preserves, crackers, and sauces crafted with care in the Holy Land. Other featured products include artisan-smoked meats from Ozark Mountain Smokehouse made right in the heartland of America. The Food Channel has tested these products in their kitchens and prepared recipes using them, so shoppers can enjoy our world of flavors in their homes. Check out the new Food Channel Store and the World Market at foodchannel.com/shop . And watch The Food Channel Facebook page starting April 4 for a limited-time giveaway of an Ozark Mountain Smokehouse spiral sliced bone-in ham paired with a pound cake, perfect for a stress-free and delicious Easter celebration. The Food Channel is a place for great food inspiration, the latest trends, the most compelling stories, and original perspective. This website offers insightful original content that is distributed to everywhere foodies interact with culinary creativity by influencing, contributing to, learning from, gaining inspiration through, and being a part of the experience around great food. For more information, visit foodchannel.com. Follow The Food Channel on Twitter at twitter.com/foodchannel or twitter.com/aford, or on Facebook at facebook.com/FoodChannel. Bravo�s Top Chef Masters returns with a brand new format and 12 new award-winning chefs hungry to compete for the title of �Top Chef Master� and win $100,000 for their charity. This season, the masters will no longer be judged on a scale, but in elimination style challenges just as the tried and true format of the original Top Chef. In each episode, money will be at stake, with the winners of every quickfire challenge winning $5,000 and elimination challenges winning $10,000 for their designated charities. As previously announced, celebrity chef Curtis Stone will serve as the newly appointed host of the series along with returning judge and culinary expert, James Oseland, and new series judge, the legendary food critic and author, Ruth Reichl. Top Chef Masters pits 12 world-renowned chefs against each other to see how well they fare in fierce culinary competition. Each week will whittle down the chefs until the finale where one winner is crowned �Top Chef Master� and receive the grand prize of $100,000 for the charity of their choice. With so much money at stake, the chefs are bringing more than their knives to the table; they�re bringing their egos and stirring up the drama. The chefs must face off in some of the most difficult challenges we�ve seen thus far �- including the infamous Restaurant Wars �- and they�re serving up food for some master entertainers and celebrity guest judges including: Mad Men�s Christina Hendricks, rock group Maroon 5 and pop sensation Kelis, among others.